We feature beautiful Pride lift chairs! Come in and and try them out. We can order sizes, models with different fabrics. A few models are shown below. (505) 327-4041. Watch the chairs lift up in the video to the right. LC 358 shown in Spruce color in the lifted position. 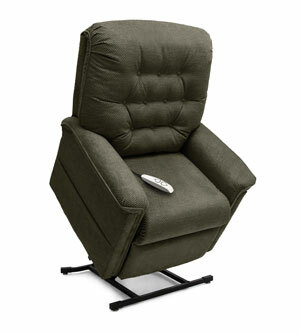 Comfort and style complement one another perfectly in the Heritage Collection from Pride® Lift Chairs. With an array of plush fabrics to fit any décor and a superior design that provides exceptional strength, Heritage Collection chairs deliver style and durability 300 SERIES that will last for years to come. The LC 358 shown in Walnut color in reading position. The LC 470 shown in Walnut color, in lifted position. 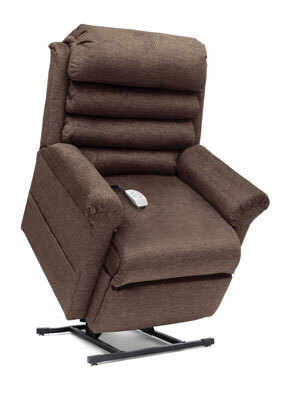 recline, making them the ideal solution for napping and relaxation. 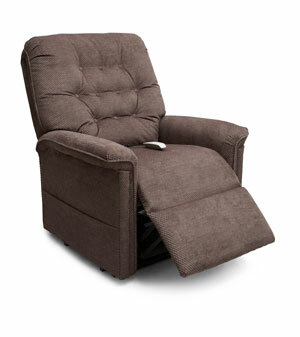 Serenity SR 358 shown reclined in Deep Sky fabric. 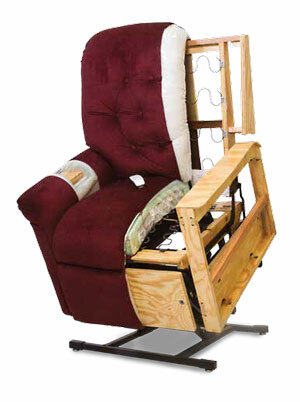 The Serenity Collection from Pride® Lift Chairs combines superior comfort, top-notch performance and unparalleled style to create a lift chair unlike any other. 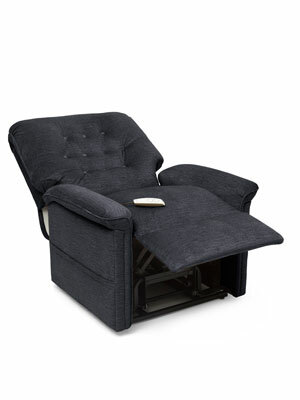 Featuring Pride® Memory Foam for enhanced cooling comfort and individually wrapped coil springs for a balanced seating experience, the Serenity Collection Lift Chair is the ultimate in lift chair comfort.